People might have raised an eyebrow when the news of the airpods first came about, but if the number of sales is any indication, people have come to love them. It might have seemed awkward to wear earphones without the straps that we are so used to having, but more and more people are seeing just how convenient it is. While some may argue that they are very similar to Bluetooth earbuds, Airpods can be the first to be considered as true wireless headphones. But if there is something that people might have complained about is that the air pods might be too simple and plain. The great thing about this problem is that savvy entrepreneurs have come up with all sorts of accessories that can go with your airpods. Here are some of them that you might want to check out. 1. Airpod straps – okay, so this might be defeating the very purpose of Air pods, which is advertised as the first true wireless headphones. But what if you do want that strap? What if you are still having a hard time adjusting to the difference and you find yourself constantly checking your ears to see if the pods are still there, like when you are at the gym or going for a run at the park. The answer is to invest in airpod straps. Just make sure that you choose one that is not too heavy so that that the pods stay in place when worn with the straps. 2. Airpod wraps – are you looking for something to spice up your airpods? After all, iPhone users also buy cases or transparent skins to dress up their own phones, why can we not do the same with airpods right? With airpod wraps, you can unleash your creativity and create a look that will not just be unique but will even show off your own personality. There are so many designs to choose from, and you can choose plain colors or go for something different like rainbow colors or even different patterns. Check out some of the designs at https://wrapsstudio.com which does not just sell wraps for air pods but for other products as well. 3. 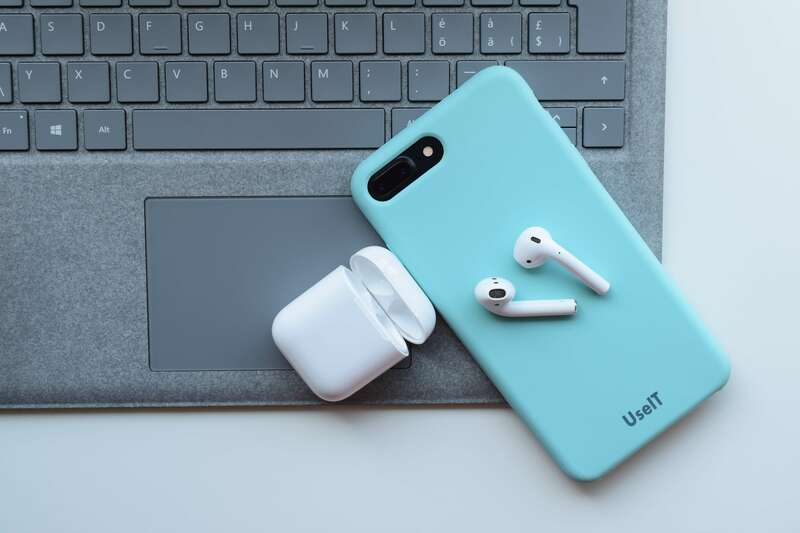 Airpod case covers – the accessories are not just limited to your airpods but even the case! This charging case, which looks about the size of a dental floss can be prone to scratches especially if you use your airpods every day. The charging case covers are not just for protection but for decoration as well. There are even sets where you can choose a design that is paired with an airpod wrap too. This way, they will match and will look very classy. Like the airpod wraps, you can choose a minimalistic design or you can go all creative and quirky. Once you put them on the case, you won’t have to worry about scratches and everyday wear and tear anymore.